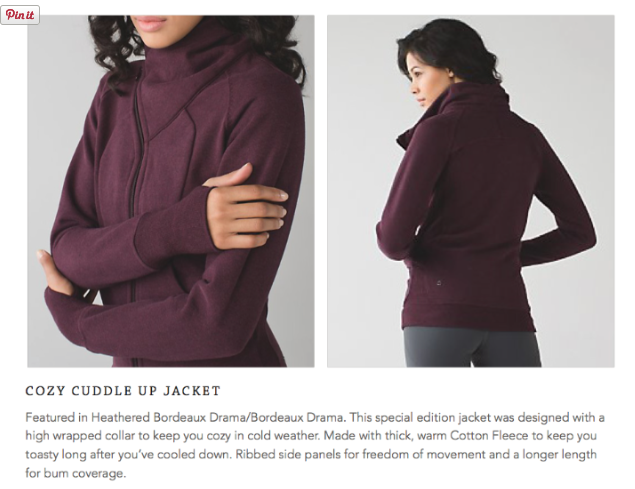 I wonder if the new cozy cuddle up jacket will come in other colors? While I initially didn't care about the print, I now look at in a new light and in awe with all of its the creativity. 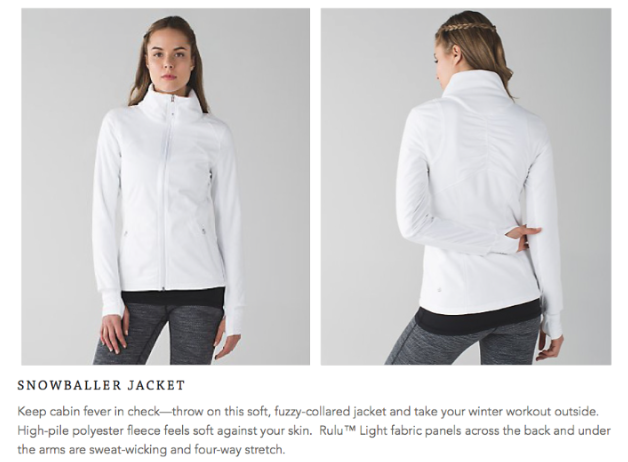 The new asymmetric zip jacket looks like last years cozy Karma-collected jacket. Good grief. How much Bordeaux drama cotton fleece/French terry fabric did Lulu buy?! I used to love the colour but it's so overdone and in so many pieces. 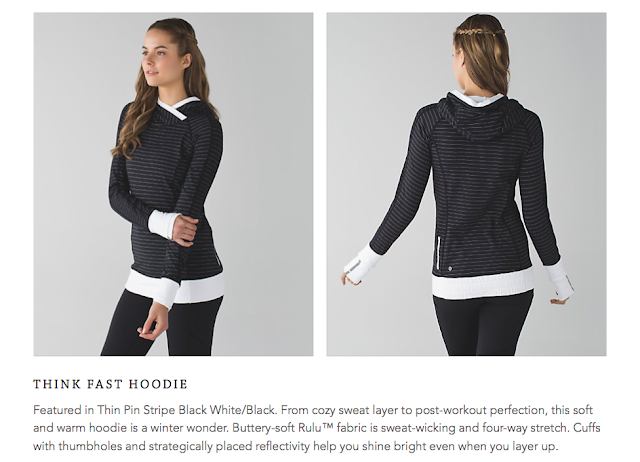 agree w/ LLA...the Think Fast Hoodie is the warmest, coziest top (vs. jacket - altho it rivals in warmth) I own. I do not like the high contrast waist or cuffs and in white of all colors. Not good. Runderful 1/2 zip contrast ribbed? bottom/collar - will need to see other color ways, but as LLA pointed out that chest seam is an issue - it invariably hits in the wrong spot for me. I have dog runners which I love, so don't need the runderful pant, especially considering LLA's fit comments. I'm curious about the Snowballer Jacket. Sorry if someone else's comment gets approved before mine. It is $128 on the Canadian side. @ anon 7:04 -- totally agree. Bought some pieces in bordeaux this time last year, would have been nice if they didn't repeat it so much! 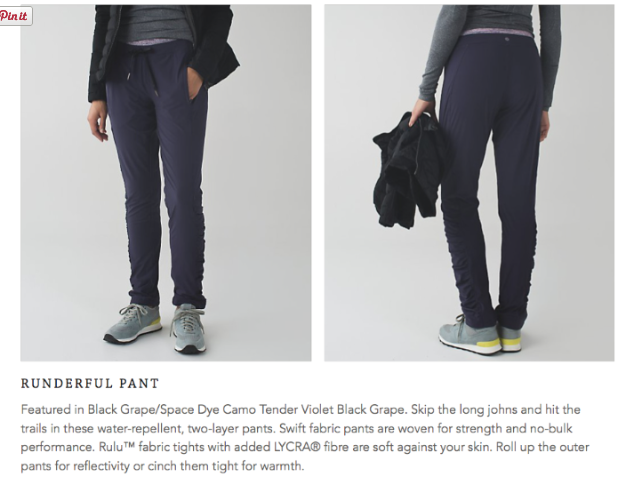 I bought the Runderful pant the other day in black. They are much heavier than the Dog Runner (which are my favorite!!) - I liked the style, but I had to size up considering the style. They were $128. Also, I saw the Cozy Cuddle Up Jacket in one store in Calgary on Friday. It was in a nice black and white pattern. I didn't try it on although. I'm sort of relieved to her that about the runderfuls bc I WAS going to buy them even though I most definitely should NOT. But what will I wear for winter dog walking?? I tried the wind runners but didn't like them. The pattern down the leg was too much and no useful pockets. Thanks for your post! I enjoyed discovering something new! I don't get what it is about runderful pants. Why not to wear your best cosiest WUP and some loose windbreakers or DSP on top? I really dislike pullovers with the seams under the chest too! C'mon lulu! I tried the Think Fast hoodie on last year and I did not care for how high the neck is. I found it a little constricting. For the one pictured, white is a nice idea but definitely not practical for the cuffs. I'm glad I have Dog Runner pants. 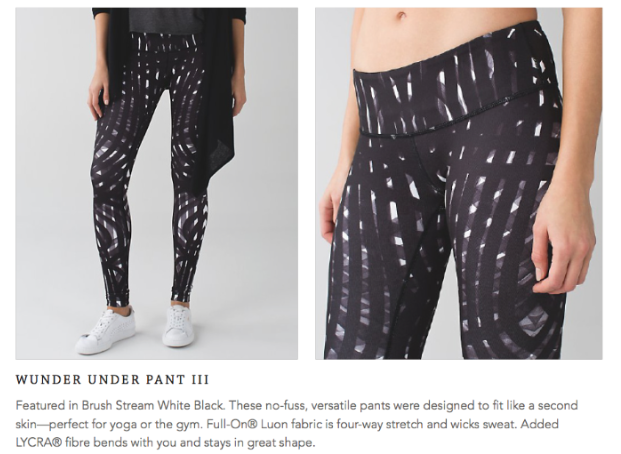 I haven't tried on the Runderful pants yet but based on all the reviews, I can kind of forget about these. However I might try them on just so I can see/know for myself. I appreciate all the feedback people have shared from their experiences. 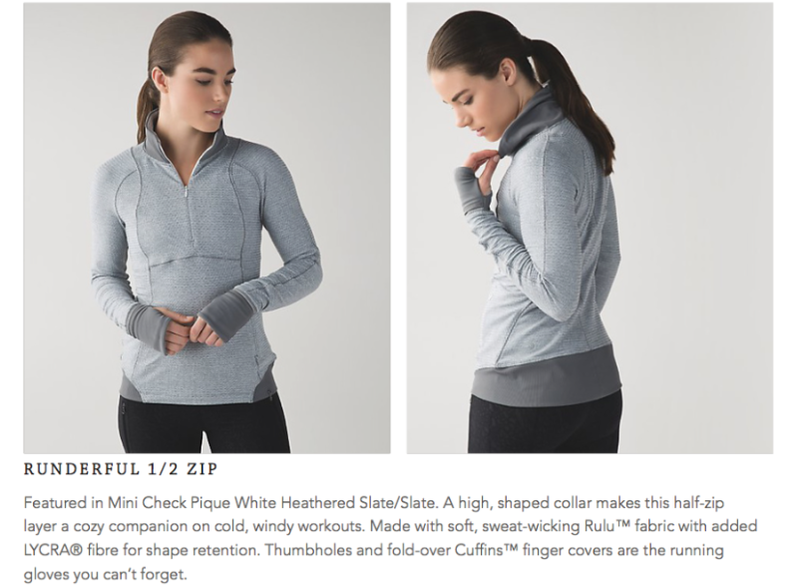 Runderful 1/2 zip: pass. High seam at the bust, colour blocked waistband, star trek body suit zipper. Cuddle Cozy Cuddle Up jacket. Can't believe they still are taking photos showing the model obscuring the item. Completely useless and makes me think that they are trying to hide something, e.g. stripes on WU no longer matching so the model poses with a sweater tied around her waist. Oh look, those made it to wmtm, imagine that.